A SuperGreen Solutions business provides a holistic solution to the energy needs of businesses and commercial and residential property owners by offering energy efficient products which both lower energy bills and the carbon footprint of its customers. In 2008, Quiznos franchisee Joe Bono sold his sandwich shops and started Solar Universe, a solar panel installation franchise headquartered in Livermore, California. Franchisees help residential and commercial clients understand and navigate state and federal rebates and tax credits, as well as utility company regulations, before installing solar panels. 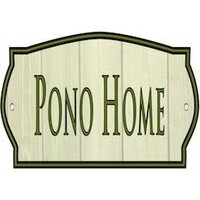 Pono Home service technicians will perform up to a 200 point checklist survey around your home, in the areas you’re interested in having work done. We can check your water heater and other appliances to see what kind of challenges might be wasting electricity, water and money. We can check for eco-upgrades that are available. We will show you ways to rid your home of chemical toxins. And we can connect you with rebate information on qualifying larger high efficiency upgrades like refrigerators, solar, air conditioning units, pool pumps and more. Commercial buildings are known for consuming the majority of the world’s energy usage. Corporations are operating inefficiently by unknowingly wasting a substantial amount of energy daily. Electricity costs are consistently rising at 3% annually, yet most people blindly pay their monthly bill without verifying accuracy or realizing how much of their energy consumption is waste. 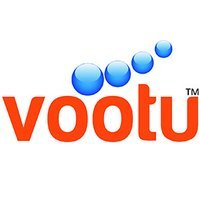 Vootu has developed a comprehensive risk-free solution for business owners to become energy efficient without any cost or added burden. Welcome to section of the innovation decisions in the business field. Here you will find energetic franchises, renewable energy franchises, energy saving franchises. This are all new types of business opportunities, which are fast becoming popular on the market. Choose the most profitable ones that will meet your requirements.